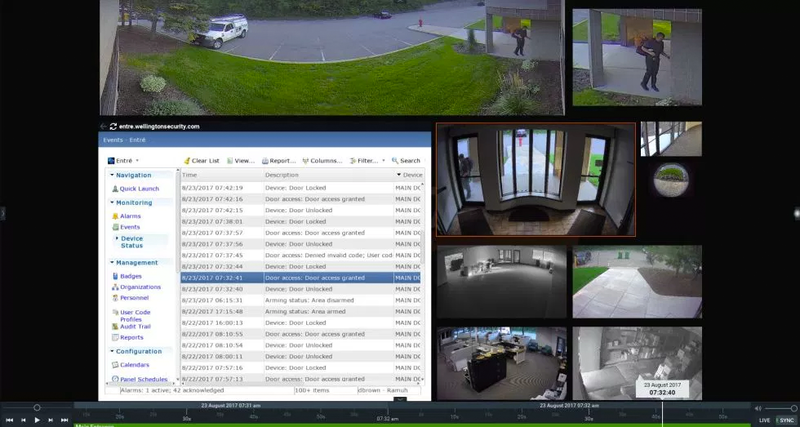 The new DW Spectrum IPVMS v3.0 includes a new feature that allows you to bring an integrated web browser into your camera system’s user interface. This new feature simplifies your ability to cross reference events. This means that if you have our hosted software, such as Entré, you can easily view events in your card access system and have your cameras open in the same screen. This way, if you want to view a recent event, you can see the cameras and the list of events side by side instead of switching back and forth between screens! There is no additional cost! All updates are included with your subscription and there are no annual renewal fees. If you already have the spectrum software, you will be automatically prompted to update both your NVR and your client software. You will have to update your client software on any computers you use it on. Simply accept the prompts and they will update themselves. If you do not already have the spectrum software and you would like more information, feel free to call us at (612) 822-4094.